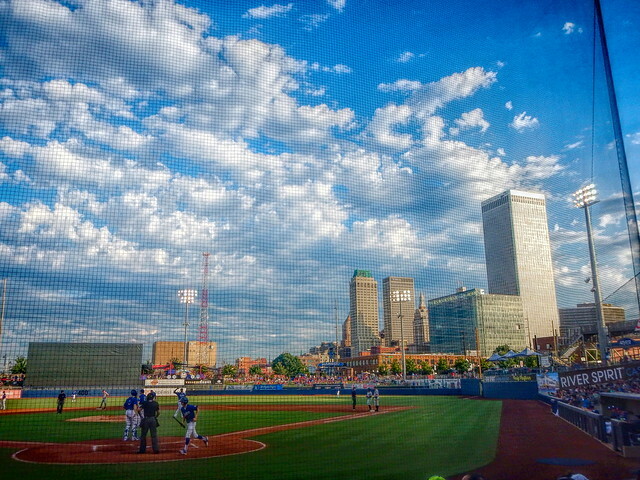 Downtown Tulsa seen from ONEOK Field, home of the Tulsa Drillers, a AA minor league time affiliate of the Los Angeles Dodgers. Son and I went to a game last week and really enjoyed it. We were behind home plate and so the protective net provides a built in texture to the photo. Topaz Studio is a new editing program by Topaz Studios. It has a lot of capability including accessing the filters purchased from Topaz instead of going through Photoshop or Corel Draw. I love PhotoShop but I use only about 1% of its capability. The photo above is my first attempt. I used the HDR filter with it. 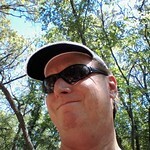 So I will be testing the software more very soon. This entry was posted in Photography and tagged Photography, Photography Editing, Topaz Labs, Topaz Studio on June 29, 2017 by Alan Bates. Beautiful! Looks like a painting. Have a fantastic day! Hello, beautiful blue sky. I love the clouds. Nice view of the ball game. Happy Friday, enjoy your weekend! Great looking image Yogi. I really like the ballpark downtown. We’re going to see the Northwest Arkansas Naturals on July 4. There will be a huge fireworks display after the game between the Naturals and San Antonio. it was such a lovely painting indeed. Great job..